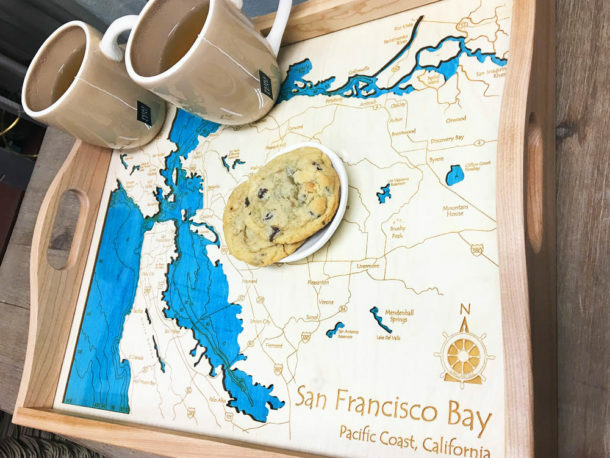 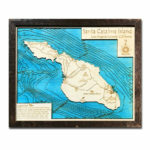 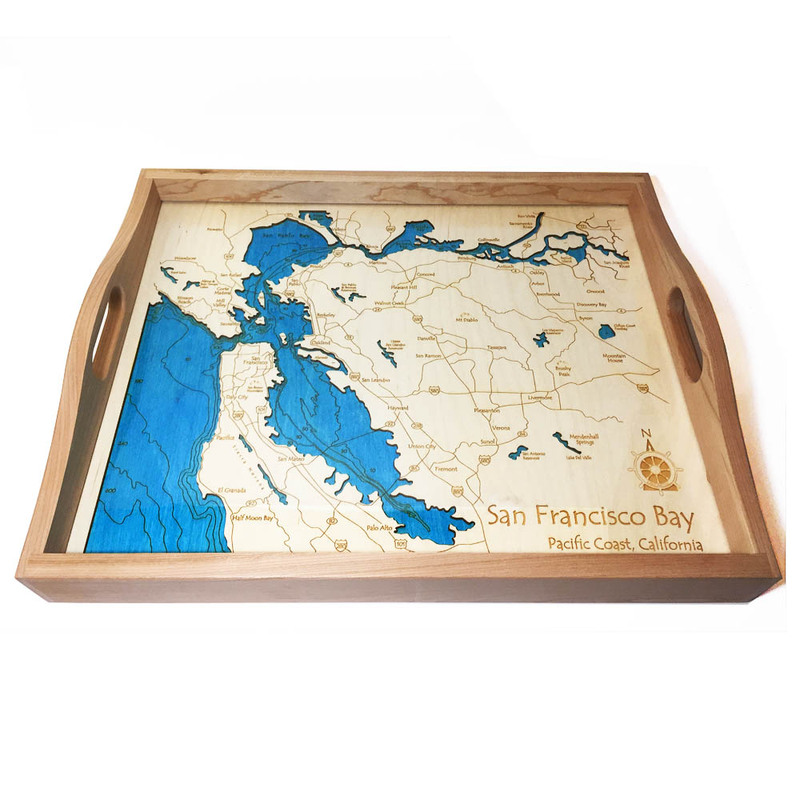 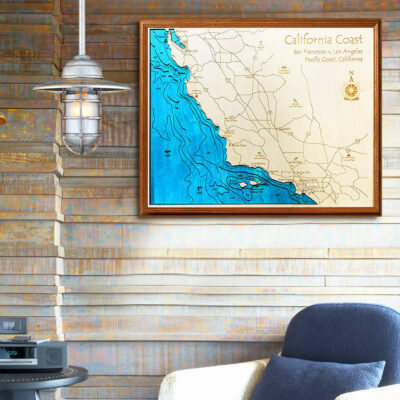 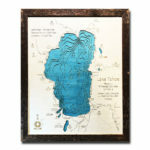 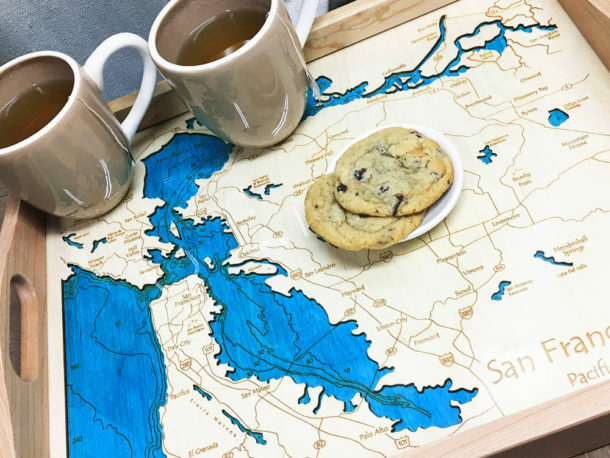 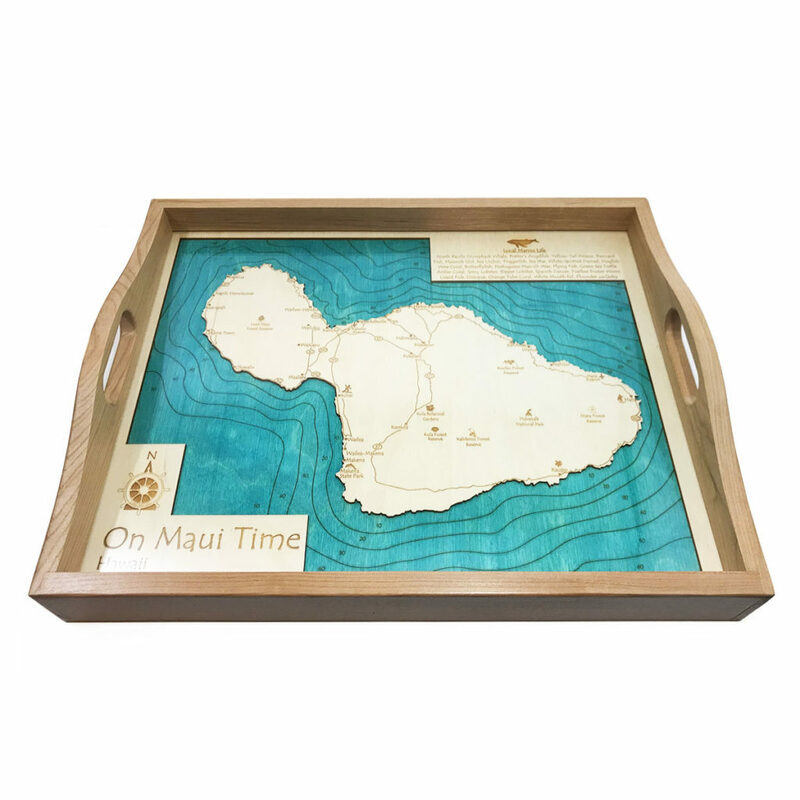 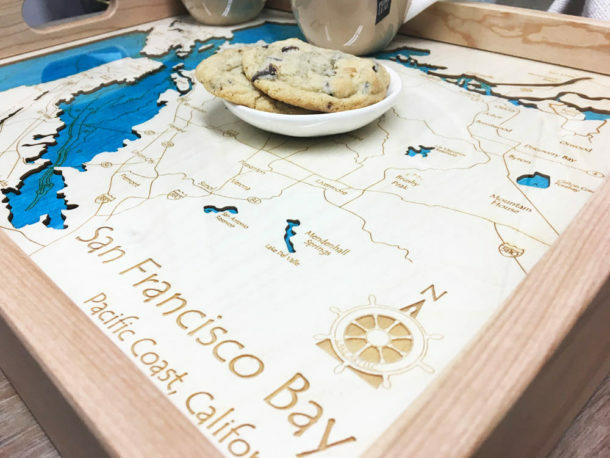 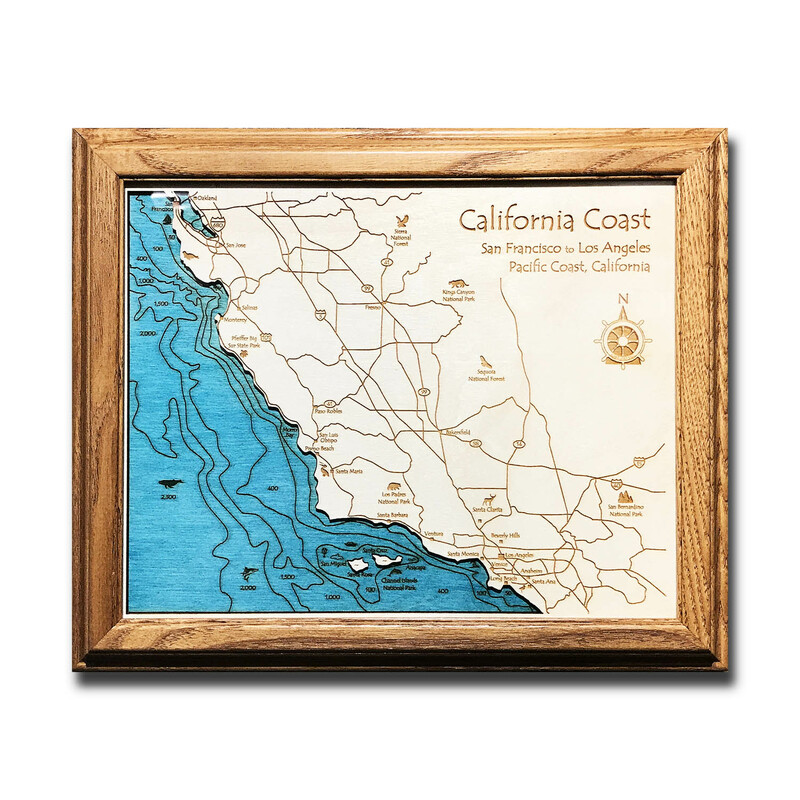 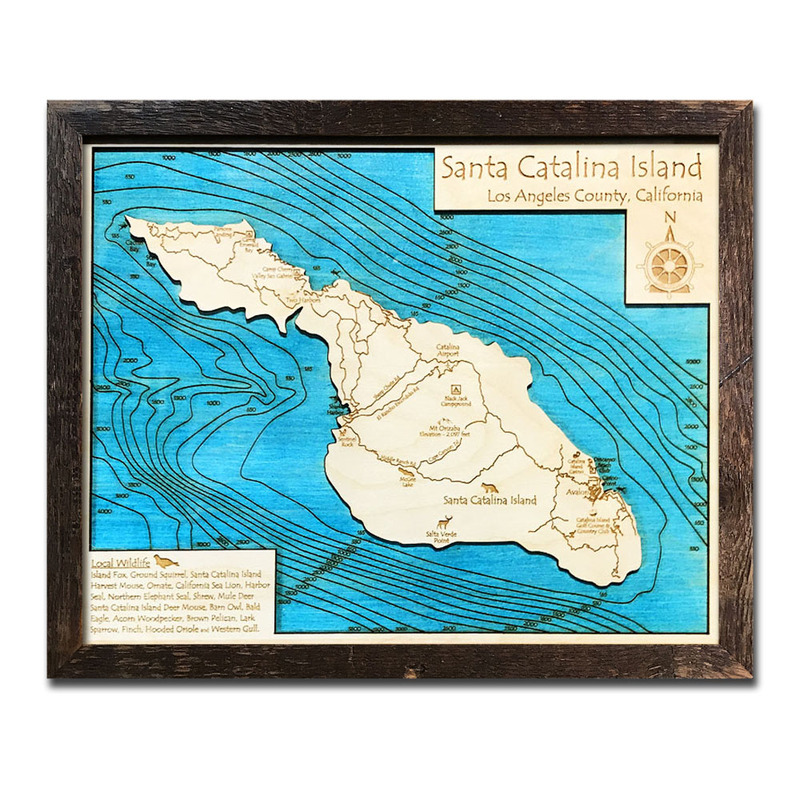 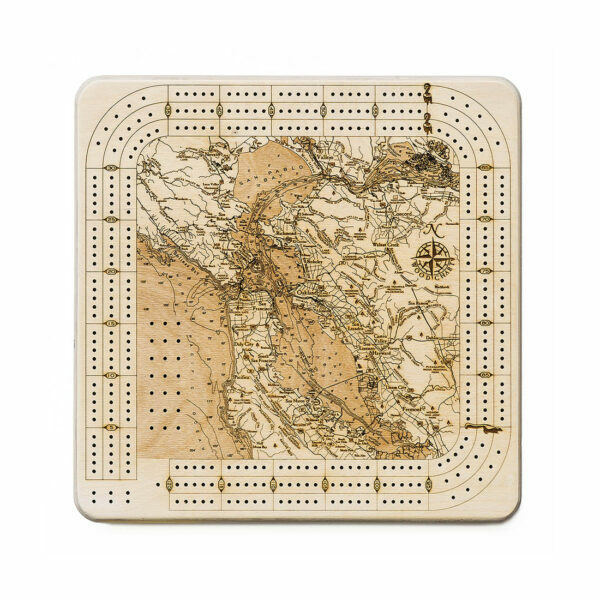 This unique San Francisco Wood Map Serving Tray is the perfect keepsake to commemorate the special waterway in your life. 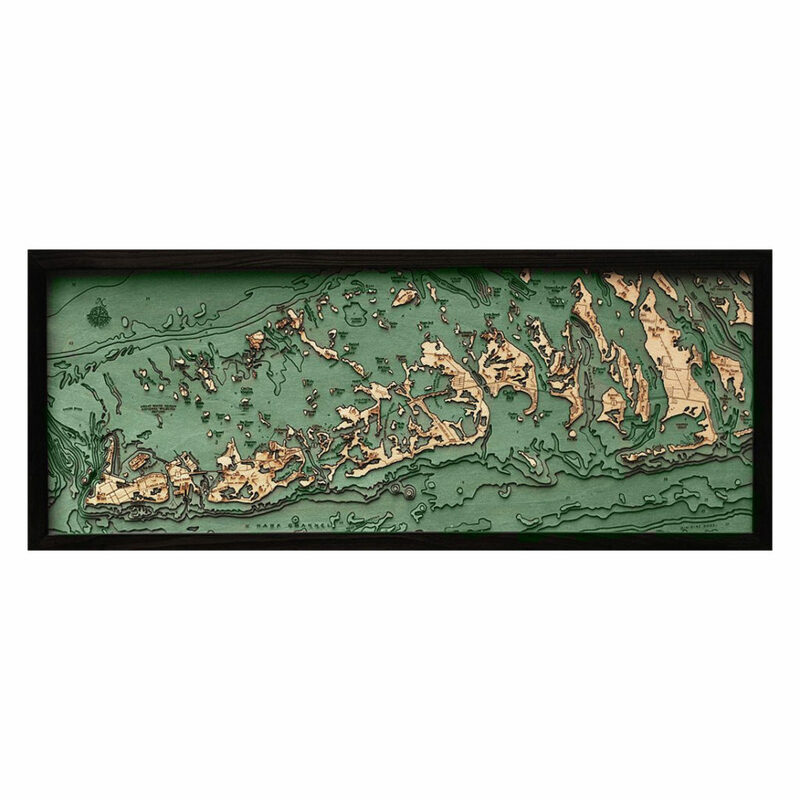 100% USA made, this sturdy San Francisco Serving Tray is an accurate replica displaying underwater topography, nearby towns, roads, and points of interest. 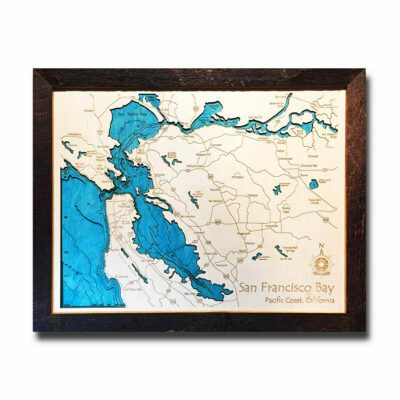 Major sea level rise has turned ice covered valleys into the San Francisco Bay. 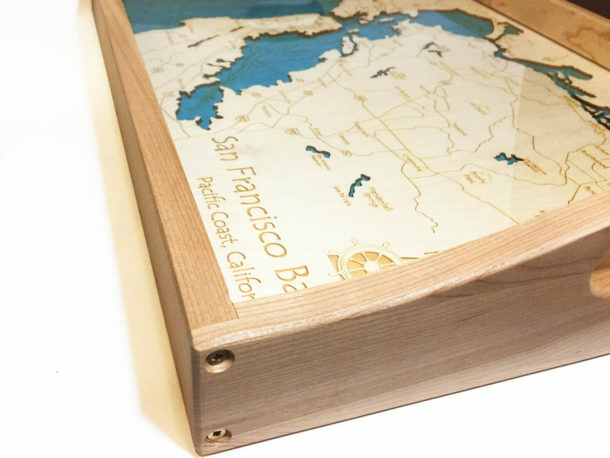 Now the Bay area contains over 15 major cities, with an estimated GDP of over 785.5 billion dollars in 2015. 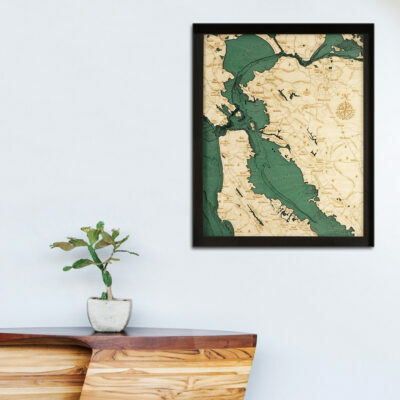 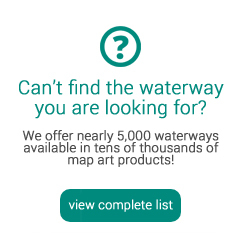 The roads we have chosen to display on our San Francisco Bay Map Art have paved the way in everything from the tech industry to organic agriculture.